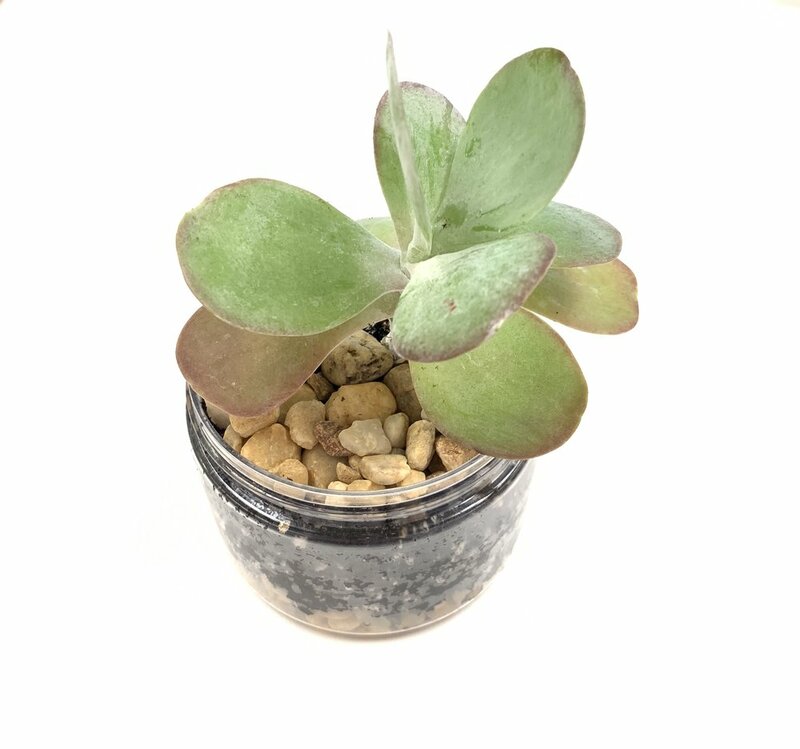 Create a hole in the bottom of your jar for drainage, fill with the appropriate soil and rocks, and plant that little succulent! Holidays are the ideal time to bring the people you love together. With the desire to gather, the Found. team would like to bring you our take on a cookie-cutter holiday: Valentine’s Day. Calling this campaign “the Month of Love”, our goal is to expand upon the classic components of Valentine’s Day by sharing the jubilance of love all month long. “We live in a world where people expect to see the same things every time they enter an establishment, as if it stems from a corporate blueprint. At Found., we are trying to provide a space and serve things that are unique, for the unique people of the world. To us that means serving comfort and delight — things that are creative, personal, and heartwarming.” - Kelsey (co owner). This month you can expect to see some thoughtful gifts for your loved ones, especially when it comes to our beloved shortbread. You can now purchase your favorite Salted Rosemary jar with a limited edition label; a twist on the Valentine’s Day classic “conversational hearts”. These special jars are available in store and on-line. Furthermore, as part of the Month of Love, Found. will be posting quotes to spread love and and brighten your social media feed each week. By doing so, Found. wants to inspire a different perspective of Valentine's Day. Without materialism or the stereotypical view of the holiday, Found. wants to celebrate ALL relationships -- your relationship with the environment, yourself, your neighbors, and your relationship with food. Found. Market will also be hosting workshops during the Month of Love. The intention behind the workshops is to gather people to sit and chat while they hand make a special craft. More information can be found. on our facebook page. … after all, people who craft together stay together, and community is what we are all about. To Found. Market, “Grow” has many meanings: to grow food, to grow connections in a community, and to creatively grow as a business. Sounds a bit abstract, but growing has always held a weight of importance for the Found. Market family. Coming from a farming background, Kelsey, Elliott, and Cindy know what it takes to grow your own food. Beyond that, Found. Market recognizes food as gifts from the Earth -- something that should be shared and welcomed as nourishment to the body, and built Found. as a place to share those gifts. Equally important, Found. also wishes to “Gather” people who think openly and freely in a common space, and to provide goods made thoughtfully with love. Anyone who has tried anything from the roasted chicken salad to the mouth-watering shortbread knows that Found. Market knows how to “Make” great food, while providing a space to experience the uniqueness of the brand. All in all the owners of Found. Market can conclude that good business comes from good community...Quality input, quality output. Re-branding is much harder than it seems. It sounds so simple: file a new name with the city, change a few words on the label, and tell your vendors right? Wrong. There are so many meticulous details that need to be thought of, and a sequential order that needs to be followed so as not to lose our customers in the shuffle. What about all those various social media profiles, what about all those banking systems, what about all the different labels, what about all the logos, what about all the different email accounts? What about Wedding Wire, what about confusing people to the point of no return, and what about everything I haven't even thought of yet? In all honesty, it is overwhelming and time consuming. Both physically and mentally time consuming. Let me back track to a couple months ago and try to explain the reason behind our re-brand. So Cindy and Elliott have had The Bees Knees Kitchen operating as a wholesale bakery since 2013. Well because we are crazy and somehow immune to the constraints of time, Cindy (my mom) and I thought it would be a good idea to turn our other passion of repurposing furniture into a formal business as well. Cue Nectar Found. So now we have two very different businesses trying to operate independently, but with one very important common denominator: Cindy. Now Cindy is a remarkable woman with immense talents, so the fact that she can be so involved in such drastically different business ventures is not surprising for anyone who has the pleasure of knowing her. But, even Superwoman can only handle being pulled in so many directions. Okay, back to the story. As The Bees Knees grows and outgrows the basement kitchen, as Nectar Found takes bigger steps forward, as our personal and professional lives evolve, and as TBK and Nectar Found intersect, it is almost as if the stars aligned for Found. Market to emerge at this moment in time. Combining all our talents, our hobbies, and our previous experiences "under one roof" is just the natural next step for each of us individually and as a collective. But as the businesses merge, so do the email addresses, the Facebook profiles, and the Instagram accounts. We currently have 3 emails being forwarded to a new address, with automatic replies being sent back left and right to our customers, and we have name change posts all across social media. I sincerely apologize for the whip lash you endured last week. May you find solace in the fact that we are right there with you on this rollercoaster.... we are almost to solid ground. Welcome to Found. Market., so glad you found. us! Now, I'm sure you're thinking "what do baked goods and refinished furniture have to do with each other?" and I must say, that is a very valid question. We've spent months mulling over this idea, and wondering if we could clearly articulate the connection that we so innately see, and provide a quick answer to all those blank stares. The answer that we've come up with: nothing, they have nothing to do with each other. What they do have in common, however, is the artists' hands who are creating them. In their own right, both a Salted Rosemary Shortbread and a coffee table that has been stripped, sanded, and re-stained are both simple yet incredible pieces of art. It takes patience, it takes sound ingredients, it takes passion, and it takes humility to create these pieces of art. We hope that one day (cross your fingers it is soon) you can enjoy your crumb cake on a beautiful vintage plate, atop a handsome oak table, sitting on quirky painted chairs in a room full of light and warm conversation. That picture right there, that is found.market co.